The septum is grasped with the blades of this instrument and straightened to make proper alignment. The blades are elevated. Remember ASCh- Ascending. The instrument is often confused with Walsham's fracture. 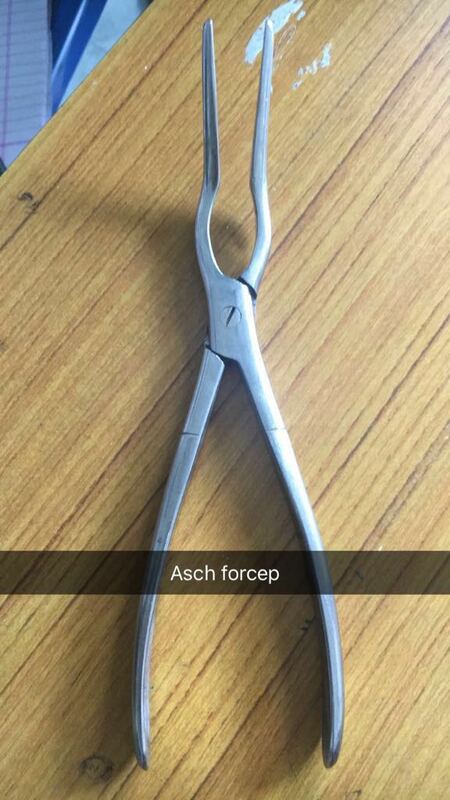 Both are used in reduction procedures of fractures of nasal septum. To know about differentiating features, click here. Hi, Can you please tell me if the blades are supposed to be touching all the way or just the tip, when the forceps are fully closed.